Are you in need of airport transfers in Kirknewton or airport transfers in Bathgate and the surrounding area? 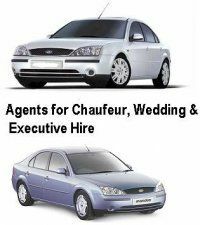 Then look no further than the professional and reliable service provided by Murieston Private Hire! We provide a comprehensive range of transport solutions to all in the Livingstone area, and specialise in airport transfers and private hire taxi services. Contact us today, for visit our main website, for more information regarding our fantastic services. Whether you are in need of airport transfers in Linlithgow or airport transfers in Kirkton, we aim to provide a service that is second to none in the local area. With experienced, reliable drivers in all of our vehicles you can rest assured that you will reach your destination quickly and comfortably; with all the stress taken out of it. Based in South Livingston, we provide our exceptional services to all in the local area and are willing to transport you to any airport you wish to go to. With people carriers available for large groups or if you have a lot of luggage, we strive to provide a service that will leave you completely satisfied from pick up to drop off. With over 8 years of experience in the industry, we hold the necessary knowledge and experience to provide a first rate service every time. With meticulously kept vehicles and professional yet friendly drivers; we have managed to gain an enviable reputation in our local area of which we are extremely proud. And much more. Whether you are going to the town centre to shop, going out for the evening or heading to the airport for your dream holiday you can benefit from our exceptional services. For more information, please call or email us at steveskeldon@hotmail.co.uk, or by using the online query form. Alternatively, visit our main website linked in the side bar. We look forward to hearing from you!